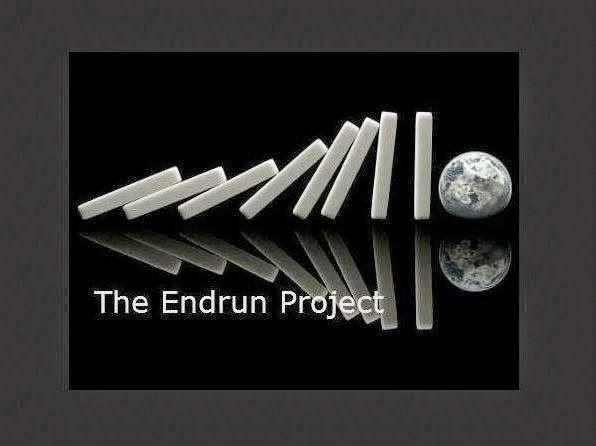 The Endrun Project: Who Then is Senator McCain? Lockheed Martin is on the lookout for acquisition deals and expects the crisis in Ukraine to boost sales of its missile defense system MEADS, the company's chief executive told German weekly paper Welt am Sonntag. 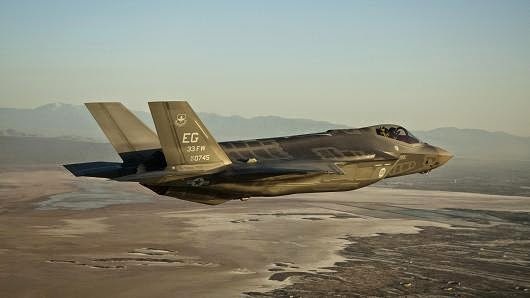 "We see strong demand for defense systems in the world. Here in Europe it is for missile defense systems. Many of our NATO partners are also looking at our F-35 fighter jet programme,'' Marilyn Hewson, company CEO, was quoted as saying. War for profit ...read carefully! Walking through the series of events as they were unfolded through updates in The Endrun Project: Israel 2014 Peace Talks a Charade? A story of threats, coercion and failure ...a grave scenario (Latest update: Monday, February 24, 2014 at 8:41:26 PM IST) and to date, it is clear that where we are headed is essentially bringing us back to the brink that threatened Humanity in the fall of 2013. Hopefully, no one believes politics and the coming election, will resolve what a loose cannon can do today ...by design, a house of cards being built over recent months is about to topple. ...any one or all (individually or simultaneously) can be easily manipulated for a specific outcome by the global elite up to and including World War III. As events in Ukraine, Venezuela, and other distractions continue, it is critical to remain vigilant on events taking place around Israel, but at the same time the global economy. A series of economic events have been unfolding since before 2008 and continue by design ...and by design, a house of cards being built over recent months is about to topple ...notwithstanding, a global economic collapse. 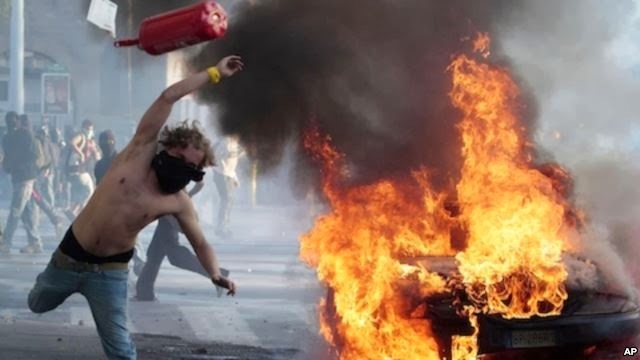 The events that have been unfolding in Ukraine are as many know, orchestrated for an end goal ...not necessarily what theorists imagine, but people are beginning to see the pattern and where it all is going which will effect all of Humanity. It seems that one guy is standing up to keep the worst from happening. Short of a world war ... despite the gallantry, it seems an impossible victory to achieve. The Syrian War brought The US and Russia to the brink of the first major confrontation since the Yom Kippur War of 1973 ...and now, Ukraine. Recent events perfectly fit into the US-invented concept of 'manageable chaos' (also known as 'controlled instability' theory). Among its authors are: Zbigniew Brzezinski, a Polish American political scientist, Gene Sharp, who wrote From Dictatorship to Democracy, and Steven Mann, whose Chaos Theoryand Strategic Thought was published in Washington in 1992, and who was involved in plotting 'color revolutions' in some former Soviet republics. 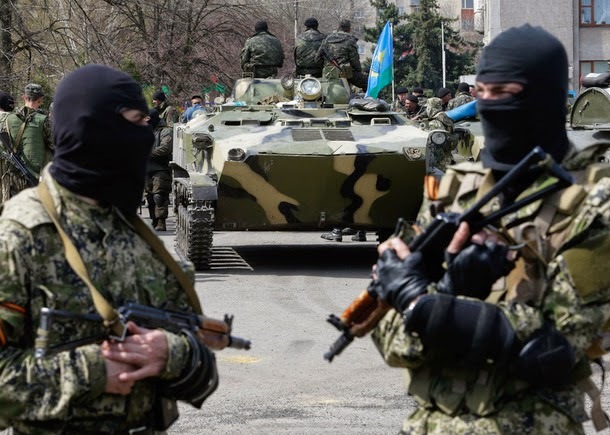 To understand how the pieces fit in Ukraine and Crimea, its important to have some background on events leading up to where we are now ...its better to understand the relationship with The Arab Spring, Egypt, Syria and back to the 'Orange Revolution' in Ukraine. The interview below, albeit over a year ago, touches on mechanics behind the scenes of current protests and revolutions and political division. For the sake of sanity, Americans on both sides of the political issues spinning out of control should open their minds and see they're being duped and how. This article goes on to explain in detail how social and media manipulation affects change for the benefit of the corrupt elite. Global markets have been reeling over tensions between Russia and The United States following the West's orchestrated overthrow of the Ukrainian government that was favoring a Russian economic proposal in opposition to The U.S./European Union's bid to bring Ukraine into the EU umbrella and subsequent regulatory control. As you read this you will clearly see with anticipation ...that global chaos and turmoil happening in strategic places around the world is orchestrated. And now, it looks like Russia may be messing with the Fed. 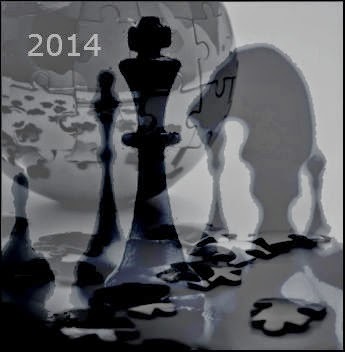 Is Russia bluffing, or is the world as we know it about to change for ever? Financial markets were on high alert last night over the Ukraine crisis amid speculation that the Kremlin had pulled its vast US treasury bill holdings out of New York. On Tuesday Reuters reported that a Kremlin aid Sergei Glazyev had announced that if the U.S. were to impose sanctions on Russia Moscow may drop the dollar as a reserve currency and refuse to pay off any loans to U.S. banks saying that Moscow could recommend that all holders of U.S. treasuries sell them if Washington freezes the U.S. accounts of Russian businesses and individuals. 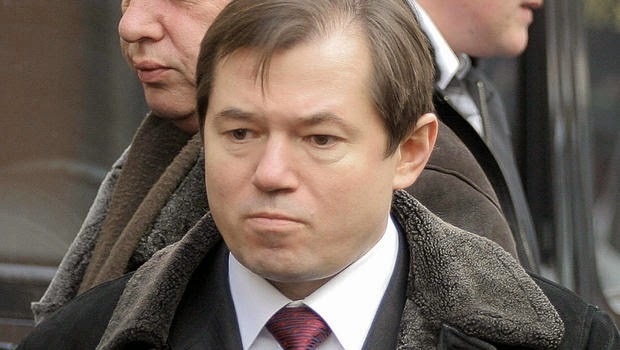 "We would find a way not just to reduce our dependency on the United States to zero but to emerge from those sanctions with great benefits for ourselves," said Glazyev. That statement is startling by itself, but the true gravity of this situation is only evident when you consider it in context. China has taken Russia's side in the Ukraine conflict (they are after all, allies) and China holds the lion's share of U.S. treasuries. If Russia puts out the call to drop the dollar China would have a choice: either hold on to those treasuries while the dollar slides (losing their shirt in the process) or join Russia and dump their holdings as well. It should be pretty obvious which way China would go. 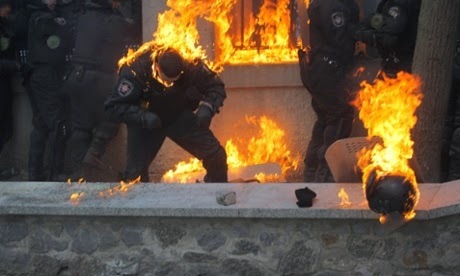 Meanwhile wars and rumors of war persist in the Middle East and surrounding Ukraine as the global financial markets teeter back and forth and the ground underneath crumbles. Wars and rumors of war in nuclear proportion in the Middle East and escalating on the Korean Peninsula with little mention of a soaring bubble in the stock market and shaky Western economies, while other economies drop the dollar as their reserve currency, increasing mass shootings and violence in the United States, are all signs of near term calamity. Obviously, everyone should know this. The point here, is not to preach to the choir, but to get to the mechanics of what is happening behind the scenes and why. Last year, we the people of the United States had just re-elected a President in November 2012, facing what was crammed down our throats as the 'fiscal cliff'. Since the last election, we somehow got past the 'fiscal cliff', a budget crisis and government shut down, an imminent World War III over Syria, with talk of a global economic crisis and World War still hovering over the Middle East back and forth between rhetoric over Syria and Iran, and now increasing concerns of Turkey's romance with Iran and Hamas, al Qaeda, Hezbollah, and anybody with a hatred toward Israel. News and focus on Israel, Iran and Syria have already increased since the beginning of 2014 and will be ratcheting upward as the days ...even hours pass. Understanding what is working behind the scenes and why, could be critical in knowing why now and the near future for you, is more dangerous than ever. 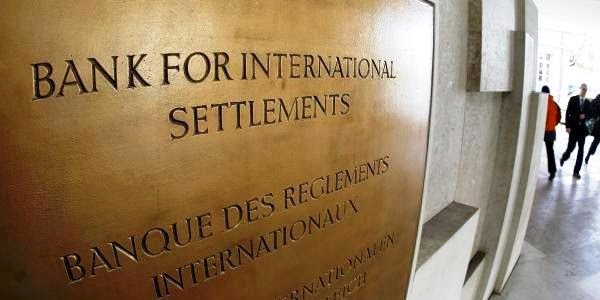 The Bank for International Settlements (BIS), describes the current situation at the world´s financial markets as worse than before the crash of Lehmann Brothers. In its quarterly report, the BIS described the situation as critical and directly mentioned the possible end of the deluge of paper money. There's more than meets the eye ...however, as bleak as it may seem ...through understanding the issues from common sense perspective apart from the demonstrative failure of conventional wisdom and politics ...the good people of America and the world can beat the challenges. 'What Congressman Louis McFadden said of the “Great Depression” is as true today as it was in the 1930s. 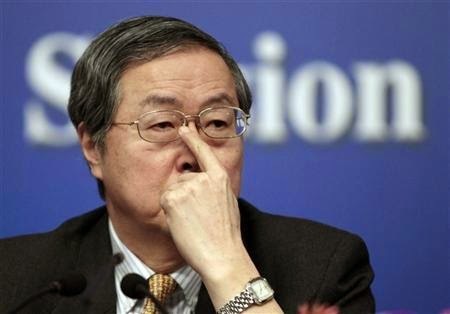 As Chairman of the House Banking Committee he said, “It was no accident; it was a carefully contrived occurrence. What you are experiencing economically and financially today is nothing new. Just study history all the precedence is there. The bankers and their willing helpers do the same thing over and over again. 'That is why your elected representatives do not listen to you. 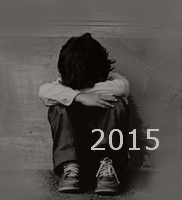 At the same time the poor get poorer and the middle-class is being destroyed. We are witnessing the deliberate destruction of an empire. America has lost 11.7 million jobs and 440,000 businesses over the past 11 years, but Congress evidently is ignorant of the fact that keeping jobs at home is easier than creating new ones. 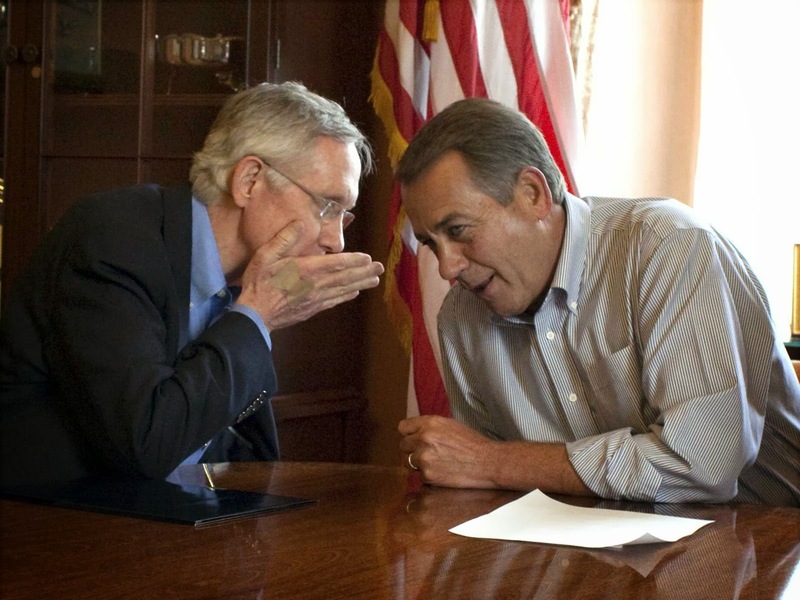 Unfortunately, 95% of Congress is bought and paid for by the very interests that perpetuate this stripping of America. Whatever the case may be, logic says in the fall of 2013, the United States brought Humanity to the brink of World War III over Syria with insights from central bankers hinting of war and economics in 2012. "We are now also entering the war phase as insolvency becomes more visible." 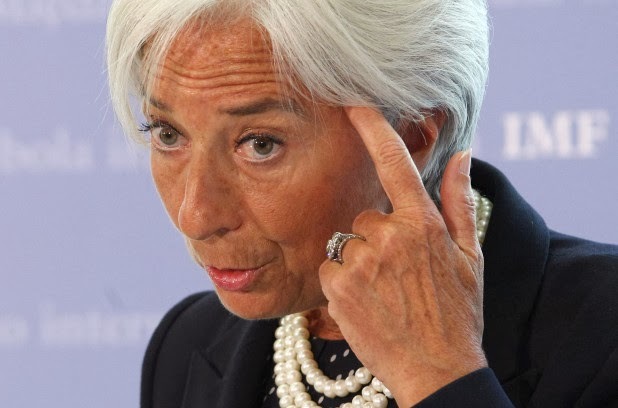 Stated at the Annual Meetings of the International Monetary Fund (IMF) and the World Bank Group held in Tokyo on October 12-13, 2012, concerns simply had to arise in connection with a certain cryptic passage in a contribution to the debate made by IMF Managing Director Christine Lagarde. 'Without growth, the future of the global economy is in jeopardy, and perhaps the greatest roadblock will be the huge legacy of public debt, which now averages 110% in advanced economies, pretty much wartime levels', said Lagarde. 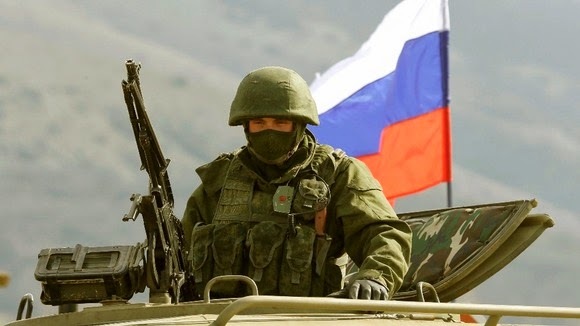 As an unpopular war against Syria was averted in the fall of 2013 in favor of diplomacy proposed by Russia, diplomatic efforts (almost by design) have faltered. “Clearly, diplomacy hasn’t gotten us where we need to be yet,” but remains the right approach, Harf said. 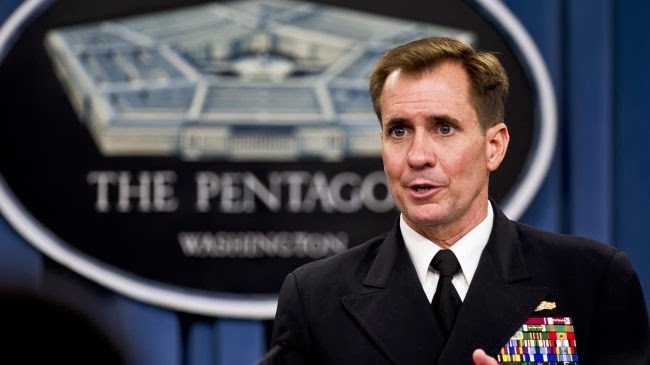 At the Pentagon, press secretary John Kirby told reporters on Friday that the Defense Department, which has drawn up a range of military options, is being asked to contribute new ideas. Don't think the re-election of President Obama, wars, rumors of wars, riots, protests, even chemical weapons attacks in Syria ...aren't orchestrated for an end goal apart from your best interest ...and, coming to a head soon (notwithstanding the matter of Israel, Iran and Syria). If not by design ...Obama, the 'rabbit's foot' the 'global elite' hoped would bring them luck in 2008 is a bigger embarrassment than Dominique Strauss-Kahn, ...and with a world spinning out of control ... leaving little option for all the 'kings' horses and all the kings' men' but the inevitable. Continuing weak global economic indicators and the Obama administration bringing Humanity to the brink of World War III over Syria (lest Russia steps up with a preventative proposal) giving rise to Putin's Russia and disgrace to Obama, has the world nervous and on high alert over Obama's continuing stance and subtle threats of an attack on Syria while financial markets remain on a 'Mad Hatter's' wild ride. In times like these the global elite historically resorts to a major war (in this case ...global war) to reset Humanity's focus ...grab strategic assets and make huge profits. The truth that business tycoons capitalize on wars is common knowledge, the hyper-profits ripped by arms suppliers being only the tip of the iceberg. Lenin's view that capitalists unleash wars to grab global natural resources and markets certainly holds true these days as the tide of oil-related conflicts across the Middle East clearly shows, but even that is not the whole explanation. At all times, banks stood to benefit most from wars. Demand for credits peaks in pre-war years and at wartime as the parties to military conflicts readily agree to any terms to be able to keep fighting. It is quite typical for banks, it must be noted, to lend money to both sides during wars and to help sustain the balance of forces in armed conflicts with the goal of prolonging the period of heightened prices for financial services (3). At the moment the world financial sector is facing a serious crisis, and the risk of an epidemic of bankruptcies sweeping over it is a minor part of the problem. The more important part of it is that the profitability of lending drops sharply as the US liquidity injections – the infusions of tons of money created out of thin air – into the global economy leave it saturated with cash. As a result, the current interest rates are stuck in the proximity of zero. Many of the world's central banks offer credits at virtually no cost, and in Japan, for example, the prime rate has been almost zero for about a decade. The banking industry, diligently cultivated for centuries, sees its niche collapse in the XXI century. The banking that retains some level of efficiency in today's settings is limited to a compact group of financial heavyweights like Goldman Sachs, Citibank, J.P. Morgan, Barclays, Deutsche Bank etc, which enjoy the privilege of close partnership with the US Federal Reserve. Those post exceptional revenues, but they are attributable to investments – to the acquisition of assets across the world - rather than to lending. The availability of the assets worth buying depends on privatization being continuously relaunched in various countries, and the agenda behind globalization must be to place the world's entire natural and man-made wealth – natural resources, land, enterprises, and infrastructures – under the financial elite's control. 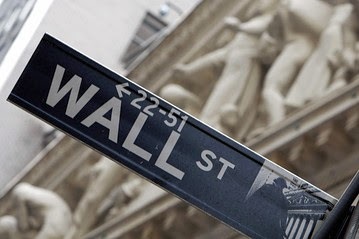 Right now the investment companies linked to the US Federal Reserve are being confronted with a problem. The US policy of quantitative easings may echo with higher than ever appetites, but the dismantling of welfare statehood meets with strong popular opposition in many of the world's countries. The financial elite clearly intended to bulldoze the welfare systems in Greece, Spain, and elsewhere, but the resistance of the populations proved hard to break. It becomes obvious in this light why the financial world is interested in a war of truly global proportions. Thus the banks generating revenues by lending hope to revive demand for loans in all of the countries drawn into the conflict to be ignited, and the investors expect to nab the assets remaining in the hands of nation-states that still hold out. Soviet-era textbooks interpreted contemporary capitalism as s state-monopoly brand of the formation which grew out of the merger between states and monopolies. The XXI century is marked with the onset of the military-banking capitalism coupling the world's biggest banks to military might. What the military-banking capitalism needs to stay afloat is a permanent world war. *The term «fiscal cliff» refers to an anticipated economy slowdown to be triggered by simultaneous spending cuts and tax hikes. If you carefully watch the Middle East Peace Talks progress (even as Putin facilitated a temporary solution to avert an imminent world war over Syria's chemical weapons) you can also recognize a systematic pattern through the rhetoric and processes that war is the agenda for the powers that be ...seeking any excuse as a trigger. While Americans cling to politics as violence rages world wide ...as if on a runaway train, at the pace we're going, Humanity is close to oblivion. 'At some point, ... it will be too late for effective political action. ... there reaches a point where it won’t matter who’s president and it won’t matter how devoted Congress is, the damage will be out of control. In summation, it is feasible given the pattern of unfolding events that the push for war and the global economy are related with a perfect storm being a one two punch as an orchestrated war of significant proportion will facilitate a crash and reset of the global economy in favor of the 'elite' as well as strategic acquisition of assets and of control in the Middle East. The question is can they pull it off without consequences from Russia, China, and radical jihadists who hate the wannabe New World Order elitists? Understanding the game being played out by the elitists committed to an agenda for control at the expense of a majority of Humanity, it is also important to know these people are vulnerable and they can be beaten. As for those with a little sanity remaining ...just when things look like it couldn't get any worse (thanks to the 'conventional wisdom' of All the Kings Horses and All the Kings Men) ...there is still a place to turn if we have what it takes. * Much of the content of this article was written by the late Bob Chapman and shared by permission before his passing. Bob had a tremendous insight into geo-political and economic events effecting the world we are living in today. 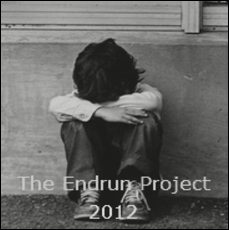 The 'Endrun' image represents the disparity being felt by so many people ... especially the children who are witnessing events in America and the international community in which they have no voice or control of decisions that are destroying prospects and hope for a secure and prosperous future. Who Then is Senator McCain?